The International Film Festival (Berlinale) is one of the most important events for the international film industry and is at the same time the largest public cinematic festival in the world. The 65th Berlinale enthused this year hundreds of thousands of spectators with some 400 films in 52 venues. 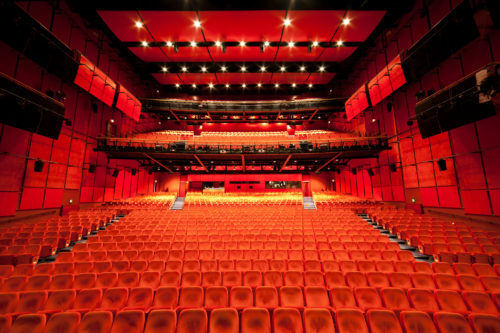 Dutch loudspeaker manufacturer Alcons Audio convinced the operators with its pro-ribbon sound system and powers the heart of the film festival – the Berlinale Palast (“Berlinale Palace”). Each year, since the Berlinale of 2000, the Stage Entertainment Theater am Potsdamer Platz, which is actually a musical theater, is transformed into the main venue of the Berlinale: the 1,600 seated Berlinale Palast. Here the glamorous gala opening with an international star cast takes place, as well as the premieres of the competition films. In addition, the Berlinale Palast is the setting for the award ceremony of the Golden and Silver Bears. 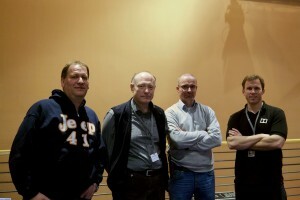 For the Berlinale 2015, the “International Film Festival Berlin”, a division of the Federal Cultural events in Berlin GmbH, planned a new sound system for the prestigious hall. Alcons Audio was invited in September 2014 by the operator of the Theater am Potsdamer Platz, Stage Entertainment, to have one of its Cinema Series speaker systems compared with systems from four other manufacturers. The two-day tests included various measurements and listening tests with different parts of music and film sound material. Successively, the results were presented to a jury – separated into the individual screen and surround speakers sections. The results from these tests were the reason for Stage Entertainment to propose Alcons Audio as sound system supplier. Immediately after the award of the contract, the installation phase began under the responsibility of ASC (Amptown System Company) Berlin, working closely with Christian Lerch of Dolby Germany and Chris Quested of Dolby UK. In the Berlinale Palast an Alcons pro-ribbon screen sound system consisting of 10x Alcons CR4 is installed. The eight-meter-high screen required an arrangement of the ten screen systems divided into two rows of five units. The system is completed by a Dolby Atmos® specified 88 units pro-ribbon surround system, featuring different types of Alcons surrounds: CRS8 (8″ + 4″ pro-ribbon), CRS12 (12″ + 4″ pro-ribbon), CRS12GT/60 (12″ + 6″ pro-ribbon), CRSGT/90 (12″ + 6″ pro-ribbon), CCS8 (8″ coaxial) and CCS12 (12″ coaxial). For the bass fundament Alcons CB362 (2x 18″) and BF181 (1x 18″) subwoofers are used. 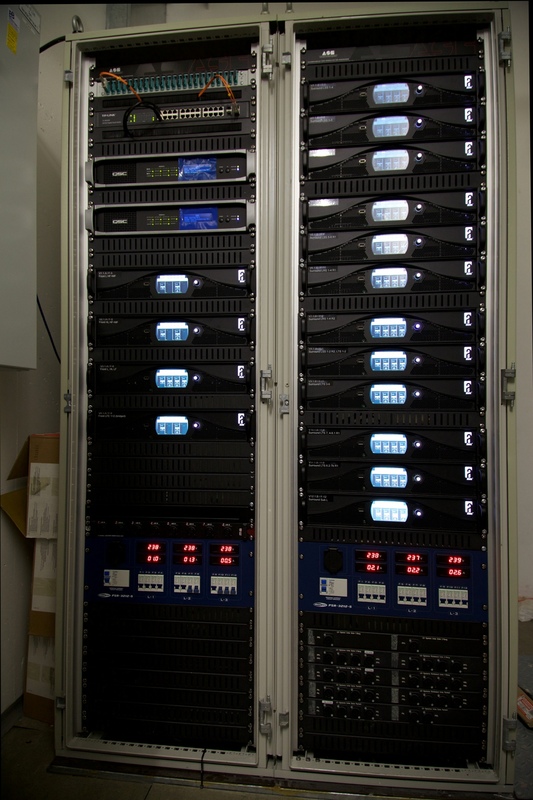 All systems are driven by Alcons Sentinel3 and Sentinel10 4-channel amplified DSP controllers. 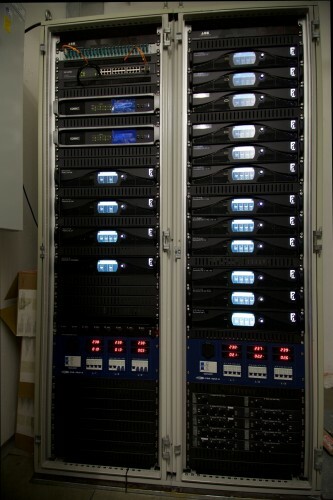 A total of 32 Sentinels with 128 channels are fed with AES / EBU digital audio signal and are controlled by Alcons’ ALControl remote monitoring and control software. After the Berlinale, all 88 surrounds and subwoofers remain at their positions to work as surround system in the theater, that’s than renamed back to its official name “Theater am Potsdamer Platz”. Only the screen construction is removed for the musical and theater function until the next Berlinale.